Jamaal Charles, we hardly knew ye. One of the few workhorse running backs left in football, is no more. Charles hit the ground even before hitting the hole, and while he won’t have an MRI until Monday, it’s being reported he tore the ACL in his right knee and is finished for the season. It seems like we’ve had myriad injuries to RBs every week, but the injury timetables have been murky, at best, and going ALL-IN on a replacement wasn’t a wise move. Well, now we have that jackpot situation on the waiver wire, make the correct move, and you could can add a starting back for the remainder of the season. So, ask yourself, is it time to shove all your chips in to the center of the table? You want to? Great, now we face the real issue: Which one of the Chiefs’ backups do you actually go get? At the moment, Charcandrick West appears to have first crack. The past two weeks, West has been working as the primary backup to Charles, playing 26 snaps to Knile Davis’ zero. Plus, when Charles went down, West was the next man up, totaling 31 yards on seven carries, hauling in one of his two targets for an Abraham Lincoln. However, this certainly doesn’t guarantee West to be KC’s new “bell-cow” back, but you have to figure it gives him an inside edge to the gig. That, and Davis may be secret terrible. Three seasons into his career, Davis has never finished a year with a ypc better than 3.5. For Fantasy, we always liked Davis because he was the clear handcuff to Charles; absorbing that type of opportunity would make almost anyone an elite statistical RB. But that's simply not the case the anymore. It boils down to this: If I need serious RB help, I’m emptying the FAAB piggy bank on West and praying, at worst, he’s the bigger part of the pie graph in a committee back field. Conversely, if I’m not in dire straights at the position, I’ll be putting in a bunch of smaller bids on Davis, in case Andy Reid decides to lean on the player who’s more familiar with the offense, and has experience with the role. This actually reminds me a lot of the Baltimore situation last season. The moment Ray Rice was excommunicated, everyone went mental for Lorenzo Taliaferro, and Justin Forsett slipped through the cracks. Objectively, West is the superior pickup, but, as a non-Charles owner, I can see myself owning far more shares of Davis Wednesday morning because of the discounted cost. Ideally, getting both and seeing how this backfield shakes down is the move, but that’s likely not going to be possible. Speaking of Justin Forsett, the Ravens' RB exited late in the fourth quarter against the Browns after rolling his ankle. Javorius (Buck) Allen received all the backfield work in his absence with Lorenzo Taliaferro inactive. Allen is the back you want if Forsett’s out for an extended period, but I wouldn’t go nuts scooping him up unless I know for certain Forsett will actually miss time. Another name to add to the RB triage unit: T.J. Yeldon. Yeldon tweaked his groin and didn’t return against the Bucs, but he’s stated it isn’t serious. Treat it like a non-factor unless more concerning news is released. With Denard Robinson sidelined, Bernard Pierce would be the Jacksonville RB most likely to benefit from Yeldon’s absence. However, he’s Bernard Pierce, and there’s a problem: He’s not any good. Where the f*ck did Lataviuis Murray go in the second half, WHA HAPPENED??? Murray cheered on his teammates from the sidelines, wearing his helmet, no less, for a full 30 minutes. Coach Jack del Rio said, “[Murray was] a little banged up but he was available.” Murray was dealing with a shoulder issue from last week, and maybe, Oakland didn’t want to take any chances making an injury worse, especially with an upcoming bye week. Still, it’s rather strange. If I’m a Murray owner, I’m not going to panic. If I don’t have Murray, with the Raiders off in Week 6, now is a nice time to fire off a few buy-low offers and see if you can get him on the cheap. Joique Bell is hurt, the Lions have decided the only place Ameer Abdullah can’t fumble is sitting on the bench, and Zach Zenner kinda stinks. HE-LLLLLOOOOOO, Theo Riddick, PPR Monster. He’s only on the field for one reason, to catch passes - sometimes for touchdowns. Riddick hasn’t dipped below five grabs each of the past four weeks and makes an excellent bench/FLEX add for 12-team (or more) PPR leagues. Just remember, he’s a true specialist, like Chris Thompson or Lance Dunbar, well, Lance Dunbar when he still had two functioning knees. Riddick isn’t worth your time in a standard league, just look at his current four-week hot streak as evidence: He’s averaging 9.45 PPR points a game, yet only 4.95 in standard formats. Told ya. Still, I’d rather the upside of Darren McFadden, who appears to have carved out a similar role to Riddick in Dallas. The Cowboys talked about using McFadden more in the passing game without Dunbar around, and, shockingly, they weren’t lying. DMC saw a team high 10 targets, converting 9 into catches for 62 yards. As long as Dallas refuses to take shots down the field, McFadden should churn out quality PPR totals. And, you may be able to get a discount, since the Cowboys are off next week. Thomas Rawls filled in admirably for BEAST MODE, and is an every week start sans Marshawn Lynch, but once Marshawn is back (which should be Week 6), Acting Commissioner Rawls pumpkins back into a high-end handcuff. Michael Crabtree and Allen Hurns remain the two top options at WR. I still prefer Crabby for the entire season, but if he’s not already scooped up in your league, he likely won’t be picked up heading into a bye week. Use that roster move on Hurns, for now. We got our answer on “who will absorb Steve Smith's targets while he’s sidelined?” It’s Kamar Aiken. Aiken did most his damage in the first half, when the Ravens' offense was actually functional, but he more than doubled the next closest WR in targets (9, to Marlon Brown’s 4). As long as Smith is out, I’ll be trusting Aiken as a WR3. I guess I should have believed more in Willie Snead. Snead set several career highs, racking up six catches on 11 targets and totaling 141 yards. It’s the fourth consecutive game with at least six targets for the rookie, and with the Saints' defense rating among the worst in football, New Orleans' weekly game script should keep him hovering around that number. Plus, Marques Colston left the game and didn't return. MORE LOOKS!!! Dwayne Harris is becoming more-and-more ingrained in the Giants' offense. And, with both Odell Beckham (Hammy) and Rueben Randle (Hammy) toughing through lingering issues, Harris has the chance to increase his opportunity. The injuries to the ODB and Randle don’t seem serious, but that DOESN'T MATTER, Harris will get his either way. He’s seen six plus targets the last two weeks, and in a defensively challenged division, with the more prominent WRs drawing all the attention, he’s a big play threat that can do some serious damage in deeper leagues. As long as DeSean Jackson and Jordan Reed remain out of uniform, deploy Jamison Crowder as high floor, low ceiling option in your WR3/FLEX spot. For the second game in row, CROWDA (Say it right, Frenchy) led the Skins in receptions, yardage and targets. Just when you thought the Gary Barnidge train was already cruising in warp drive, the Browns’ tight end set career highs in receptions (8) and yardage (139), scoring for the third straight week. It’s now to the point where Barnidge is so sick of grabbing regular TDs, he’s upping the degree of difficulty. Hopefully, this doesn’t reach Brandon Lloyd levels, where he ONLY makes impossible catches, and drops everything else. Still, at Fantasy’s most inconsistent position, having a big man that’s seeing eight plus looks per game is ultra-valuable. If the Browns continue tossing it up AT LEAST 40 times every week, Barnidge presents one of the best weekly floors at the position. And with Josh McCown averaging 47 pass attempts over his last three games, that seems like a solid bet to continue. With the absence of Andrew Quarless, Richard Rodgers is seeing his numbers rise every week, across the board. That’s now 14 targets (11 receptions) the last two weeks, and if any player is going to see that many looks from Aaron Rodgers, they’re definitely worth owning. Don’t expect many giant games, however, where Rich Rod was once a TD or bust tight end, he’s evolved into a fringe Top 10 option at the position with his burgeoning consistency. Don’t worry too much about Charles Clay. Yes, he was a colossal disappointment against the Titans, but he was dealing with cramping issues throughout the game. With the dearth of talent at TE, give Clay a mulligan. His opportunity is too high in the Bills' beat up offense. If bye weeks are affecting your team at quarterback, it’s likely you’re 0-5. In what has to be the worst quartet of QBs ever to take a week off, we won’t have Brandon Weeden, Derek Carr, Pick Foles or Jameis Winston in Week 6. Whatever shall we do? If you’re streaming QBs week-to-week, Sam Bradford, and his new willingness to actually take shots down field, is the top option in the Monday nighter, hosting the Giants. if you’re truly desperate, the Texans/Jags game has bad defense written all over it. I prefer Blake Bortles over Brian Hoyer, but both should put the ball in the air enough to pile up points through attrition. 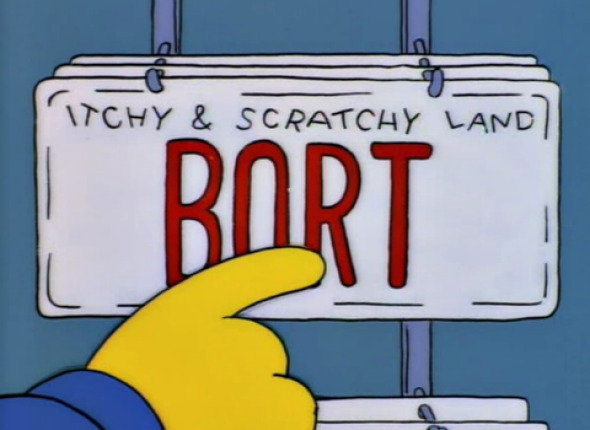 Bort gets the nod over Chef Hoyardee, since Houston could choose to simply hand the ball off to Arian Foster every play, Jacksonville has no such luxury. I’d offer up Dan Orlovsky as an add, but until he realizes passes to Larry Fitzgerald don’t count towards his stats, you’ll want to leave him be. The more problematic issue happens in Week 7. Unlike the duds going on vacation for this waiver period, we’ll have to compensate for the losses of Aaron Rodgers, Andy Dalton, Peyton Manning and Jay Cutler then. 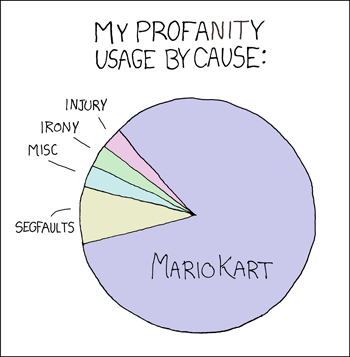 That could be an issue. Unless you play in a super shallow league, it’s best to make a preemptive strike at the situation. There’s a chance non-believers may cut Marcus Mariota after his poor showing against the Bills (he’s currently over 60 percent owned), so keep an eye out for him. The Titans draw the Falcons in Week 7. After that, Derek Carr at SD, Alex Smith vs PIT, Kirk Cousins vs TB, and Michael Vick at KC are the best currently available options to grab if you need a fill-in. While not probable, there is a chance foolish owners cut the Jets defense during their bye week. Make sure to get them if that’s the case, they’re a Top 3 DST this week… Tyrod Taylor can always surprise with a big play, but Buffalo’s offense has been miserable the last two weeks, against pretty sub-par defenses. Taylor’s shown a propensity to get sacked in games in which Bills have been trailing (8 vs NE, 2 vs NYG, 4 vs TEN), and with a Top 10 rated pass rush (per PFF), the Bengals will capitalize on that and deliver a high floor DST performance… Yes, the Eagles DST is a crapshoot, however, they’ve scored 13 plus points in two of the last three weeks, and we all know a Bad Eli game is coming soon. It’s inevitable… The Packers DST is averaging 12.33 Fantasy points per game at Lambeau, never failing to score fewer than seven in any one week.